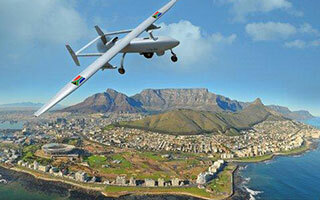 As today’s defence procurement contracts face ever tougher time constraints and strict budgetary controls, South Africa’s Denel Dynamics has chosen XJTAG as the best value boundary scan solution on the market, enabling its engineers to deliver high-quality, high-performance missile systems within shorter turnaround times than ever before. The company’s electronic engineering teams produce circuit boards for functions such as radar or infrared targeting, navigation, communications, and adjustment of fins or control surfaces. These boards are designed in house, and prototypes and production units are assembled by a specialist manufacturing partner. The complex, multi-layer PCBs contain devices such as 32-bit processors, high-capacity FPGAs and memories, often packaged as BGA devices that prevent access using conventional test probes. Since first adopting XJTAG, the technical teams at Denel Dynamics have extended its use throughout development and production activities. “The XJTAG Pro system significantly reduces design time by providing features that are must-haves for debugging”, adds André Lochner, identifying the XJAnalyser interface as a particularly powerful tool. André Lochner and his team have also worked with the company’s test engineering partner, Matec, to integrate XJTAG boundary scan with custom test gear built for testing production units. XJTAG provides a number of ways for engineers to integrate external test equipment. These include the XJRun command-line tool which facilitates interaction with Automated Test Equipment (ATE), a full set of XJTAG Virtual Instruments supporting LabVIEW™ integration, and a .NET interface which allows a custom test executive to run boundary scan tests. In addition, the XJAPI Application Program Interface (API) allows low-level access to the boundary scan chain, and provides functions such as initialisation and termination. The XJRunner runtime licence provides an economical way to deploy XJTAG boundary scan on multiple production lines. “We can compile production boundary scan tests taking advantage of the scripts developed during prototyping, and our assembly house can use these directly to test production units. XJTAG provides a time-efficient and cost-effective solution ensuring the best possible quality for our customers”, he concludes. Although not the lowest-cost solution, XJTAG delivered the best value and ease of use. It provided all the test capabilities we needed to complete our project within the customer’s time-frame. The XJTAG Pro system significantly reduces design time by providing features that simply are must-haves for debugging. Even connections underneath BGAs cannot hide. We can compile production boundary scan tests taking advantage of the scripts developed during prototyping, and our assembly house can use these directly to test production units. XJTAG provides a time-efficient and cost-effective solution ensuring the best possible quality for our customers. Denel Dynamics, based near Pretoria and a division of the Denel Group, is a leader in systems technology. Employing a high proportion of highly technically qualified staff, the company produces a range of tactical missiles, precision-guided weapons and unmanned aerial vehicles for domestic and export markets.